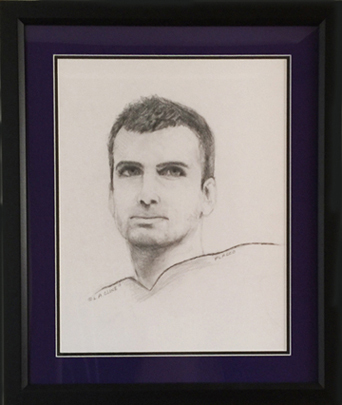 This fine art sketch is the perfect representation of that winning stare of the Baltimore Ravens Quarterback and Super Bowl Champion, Joe Flacco who earned the nickname “Joe Cool”… Famous for his calm and focused demeanor on the field no matter how stressful the situation. It was the intense stare and the concentration that sparked my creativity to drawn this portrait sketch. If you are a Baltimore Ravens fan this is a great piece of memorabilia to add to your collection. Please contract me directly if you have any questions. 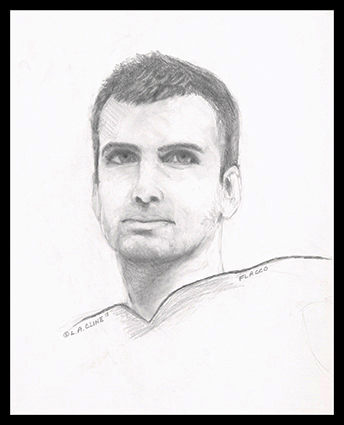 To see another detail of this drawing click here to watch the video, Super Bowl Season is Here!